Last week I found myself making a fortuitous trip to Tokyo for a quick business meeting and with time to spare over the weekend (At least, my weekend). As anyone who has ever seen me can tell you, I enjoy eating and, while in Japan, enjoy eating ramen in particular. And eat ramen, I did. 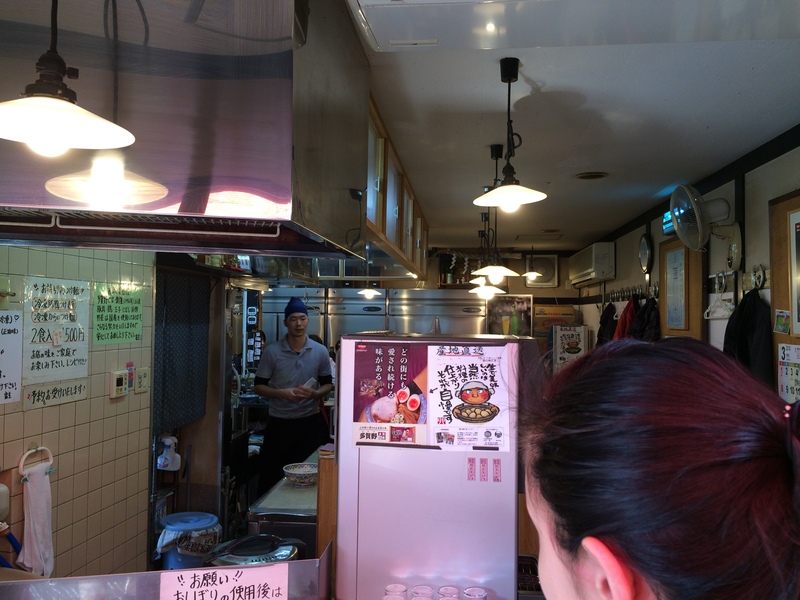 Since I was staying with my grandparents on the southside of Tokyo, I hit up Tabelog (the Japanese equivalent of Yelp, except on Tabelog, people don’t give one star reviews because the bus boy looked like their ex-boyfriend or five star reviews because the baby at the next table was really cute) and searched for the best ramen in the neighborhood. This is what I found. On Tabelog, anything above a 3.5 rating is usually pretty darn good and anything above four stars as a destination meal. 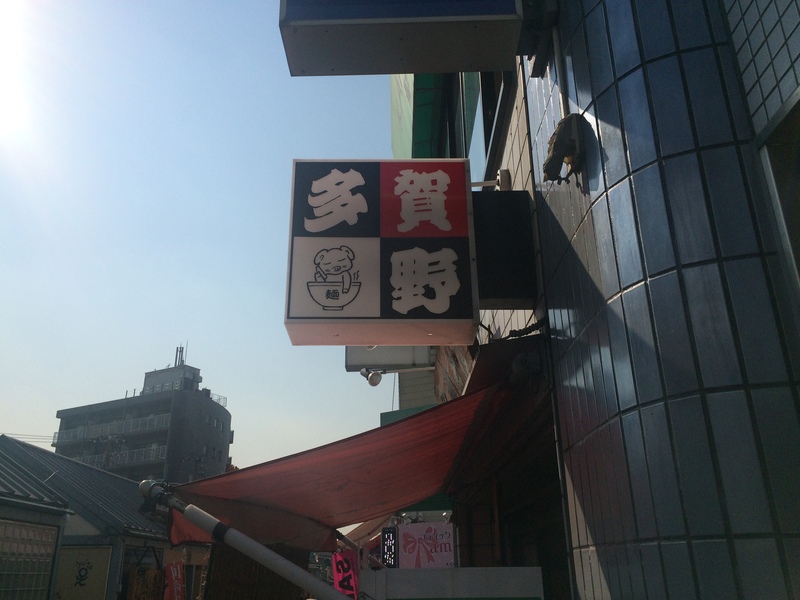 So imagine my surprise when I came across Takano, a ramen shop but a mere several kilometer walk from my grandparents’ hovel with a sterling 4.05 star rating. My gastronomical target now in my sights, I laced up my new too-big-for-my-feet Clarks and left for an early lunch. So after a fifteen minute walk from my grandparent’s house, I arrived at the place twenty minutes before opening and still found a decently sizable (that’s what she said) line awaiting me. As it turns out, waiting in line is customary here (as with any other great ramen joint in Tokyo- or the rest of Japan, for that matter). 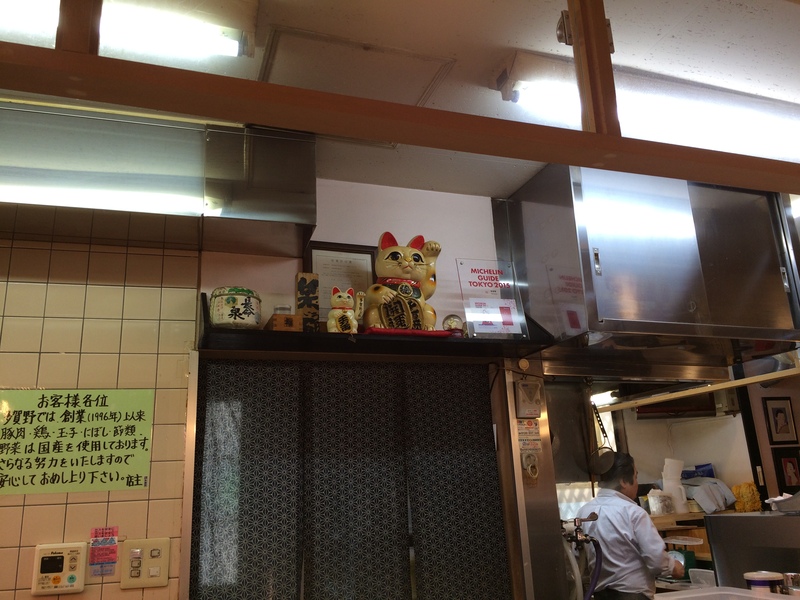 Once I actually got inside, I found myself at one of those classic stereo-typical L-shaped counter-only Showa-poi shops with one of those maneki-neko’s waving at me from a shelf over the stove (along with a plaque noting its place in the Micheline guide). Not exactly stunning decor but the place was clean enough and gave the impression of a place people would actually be semi-comfortable in in a sober state. I mean, I’m not taking a chick here on a date probably ever but I’d come here with food friends on a weekend. After another ten minutes of waiting (this time seated), my bowl arrived. And what did I get for my 970 yen? In case the sodium-laden broth or pork didn’t raise your cholesterol, the egg’ll do you in. 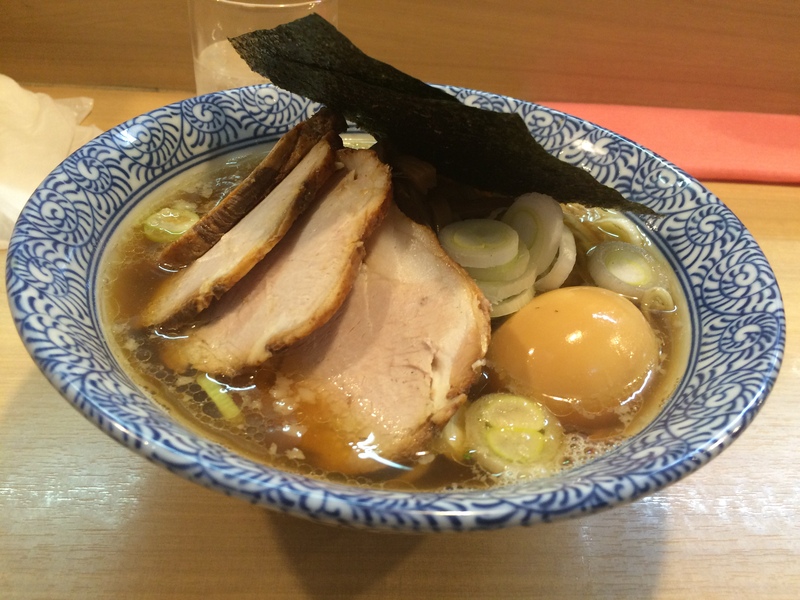 Quintessential Tokyo-style noodles and broth (fishy and salty but not overpowering) topped with melt in your mouth slices of char siu pork and a perfectly cooked agitama flavored egg. Worth the wait (though I still think waiting two hours is a bit much during peak hours). I just wish I wasn’t fighting a cold when I went. Guess I’ll have to come back again. If you need to reach me, hit me up at the Twitters or send me a candy gram. ← Stephen’s Way Too Late New Years Resolutions: 2015 Edition! Enter your email address to follow this blog and receive notifications of new posts right when they come out!